Hey guys, welcome back to week three of Simbound! For those who don’t know, this is a weekly article series dedicated towards following my progress in learning PPC marketing through Simbound, an online marketing simulation game. You can check out parts one and two here. Alright so what is the 80/20 rule? The 80/20 rule otherwise known as the Pareto Principle is named after an Italian economist named Vilfredo Pareto. He created a mathematical formula in the early 1900’s that observed that 80% of Italy’s land was owned by 20% of the population. In more general terms, the 80/20 rule is basically a rule of thumb stating that 80% of the results come from 20% of the sources. For example 80% of your sales come from 20% of your customers or 20% of employees do 80% of the work. The value of this rule comes as a reminder for you to focus your time wisely. If the majority of your results are coming from just a few sources, the majority of your time and efforts should be spent on them. As I was going over my weekly routine of checking how my campaign was doing, I noticed a pattern. It was the fact that the majority of my conversions and thus profits were actually coming from just a small group of ads. Specifically, I was making a ton from a Lenovo Ad in the US, a Sony ad in the US, and a Blackberry ad in the UK. Those three together pulled in around 65% of my total conversions. Following the 80/20 rule, I realized that these ads were basically the 20%. They represented the vital heart of my PPC campaign. And I wasn’t adjusting my focus to account for this simple fact. In terms of time spent managing and budget allowance, I had a rather even distribution for every single ad campaign. Instead of spreading out my time and budget in a balanced structure, why not just focus it entirely on my three ads? These ads were getting me the most conversions and making me the most money. It made more sense that my money and time were better spent focusing on them instead of all the others. It was time for my campaign structure to have a re-work. My first step was ranking the ads based on performance. While the clear winners stood out, I needed to figure out the bottom of the list ads that should be eliminated right away. 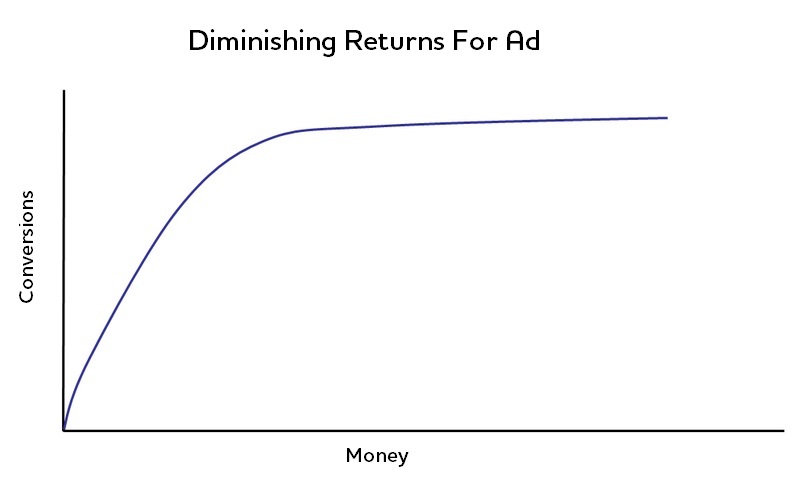 In the end I decided to use 2 metrics to determine whether an ad stayed or not. Now with all the extra budget freed up from eliminating a bunch of the under performing ads, I had a lot more resources to focus on the main three ads. Not only would the “20%” ads now get a lot more of a budget, but I would also be able to micromanage them a lot more (A/B split tests, bid adjustments). 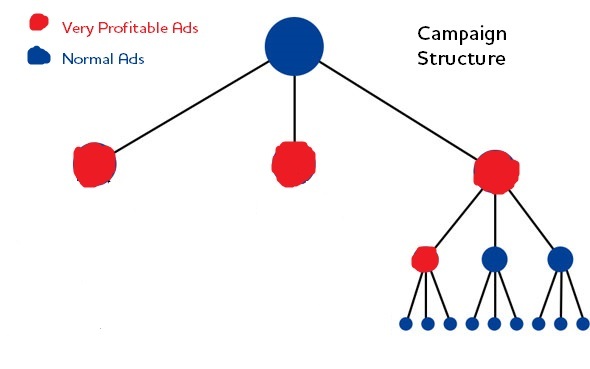 The new and improved campaign structure! My underlying concern with all this was the possibility of diminishing returns. The basic idea behind it being that for every dollar I put into an ad, I get X amount of conversions out of it. I effectively doubled the budget of the top performing ads by sacrificing a bunch of the lower performing ads. Does that mean I would get double the results? I almost doubled in profits this round. The only thing that decreased was number of impressions, which was quite understandable since my campaign was targeting less keywords. However conversions and thus profits shot through the roof. This could be attributed mostly to the 20% advertisements and the majority of the budget being spent on them. It turns out, at least in Simbound, the ads do scale to an extent in regards to increase budgets. It seems that the 80 20 rule can definitely be applied to a paid search campaign. 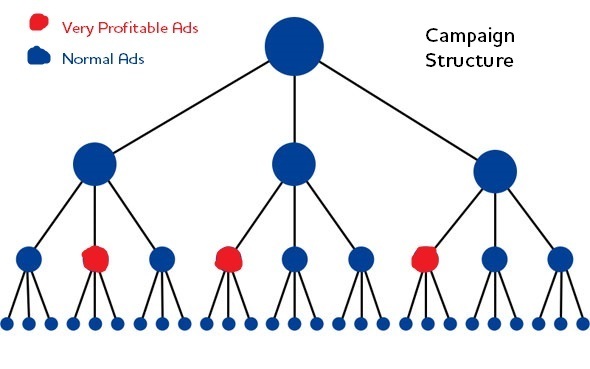 My strategy going into this round was to identify 20% of ads that were the cause of the majority of my conversions, and then focusing almost excursively in micromanaging them. I also noticed that in terms of scale, the ads responded well to an increase in budget and maintained the same %’s of conversion rates and impressions and clicks for every extra dollar added. I suspect that eventually diminishing returns will kick in, since search volume does have a ceiling for each keyword. 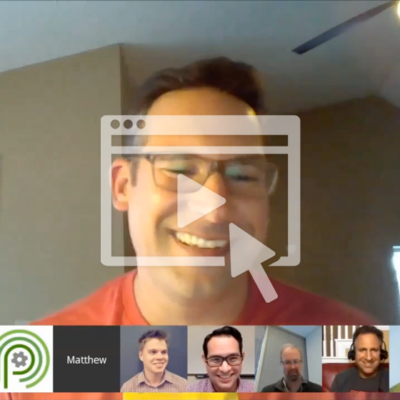 What are your thoughts on the 80/20 rule and how it applies to PPC? Let me know in the comments below! 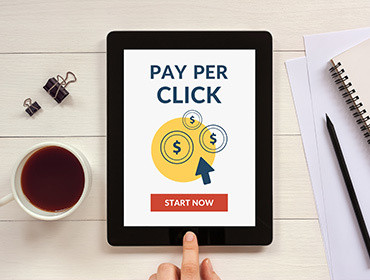 A Comprehensive Executive Guide for CMOs on Enterprise PPC Advertising.